Amino.com promises to help patients choose care with confidence. No reviews, just insurance data. That’s the idea behind new startup Amino.com, which launched on October 20, 2015. The service analyzes data from 3.9 billion unique health insurance claims to help users discover if a doctor is experienced enough to treat their condition. They don’t use sponsored results, patient submitted reviews or distracting ads anywhere on the site. A novel concept, to be sure. Users of Amino.com are presented with numbers and bar graphs rather than potentially false or skewed patient reviews, to help determine what provider is best to treat their specific condition. The numbers are compiled from 188 million Americans on file, though the data is anonymous for obvious reasons. The results are calculated and shown on a handy map as seen below. As seen above, this doctor has cared for 90 patients around my same age range in the last several years. 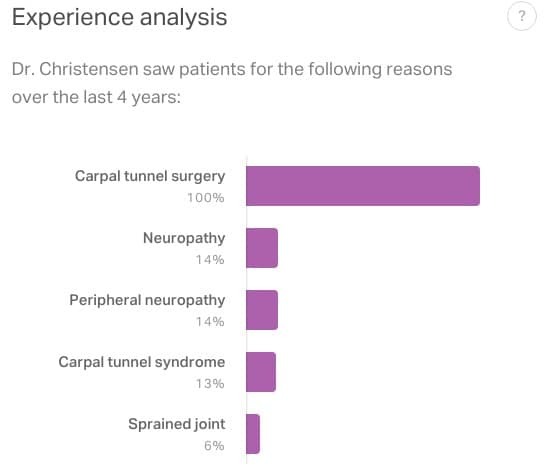 Want to know what Dr. Christensen treats the most? No problem, it’s just a scroll away on the Amino.com search results. 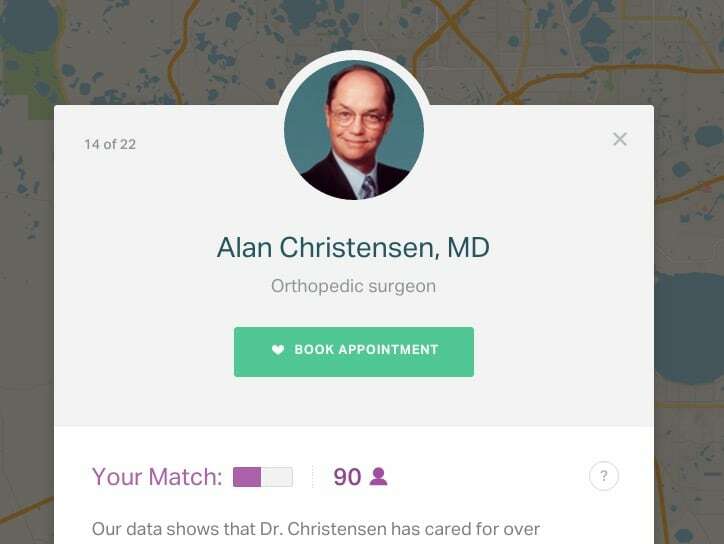 What’s really interesting is the green “Book Appointment” button found at the top of the doctor’s profile. Amino.com says they will “play phone tag” with the office to book an appointment and text you to confirm. 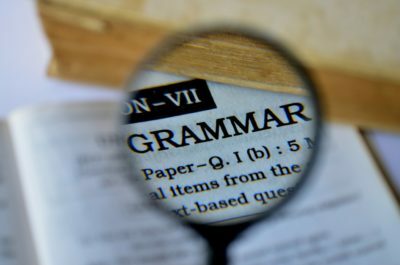 How that is done, however, we’re not entirely sure; but the button is featured on every physician profile we checked while writing this content piece. First and foremost, your providers are already (most likely) on Amino.com. 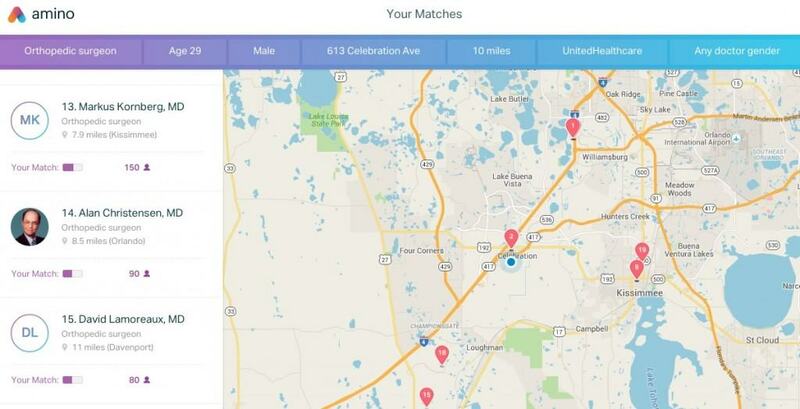 Although Amino won’t share where they pull their data from just yet, we noticed some providers have more complete profiles than others (photos, several locations listed, etc.). This leads us to believe Amino.com has partnered with another online review source (HealthGrades, Vitals, Yelp, etc.) 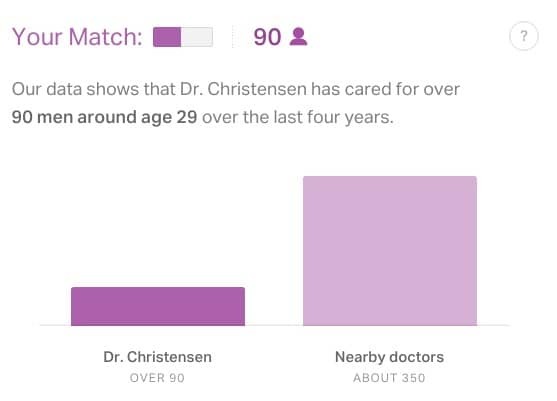 to pull at least some of that website’s profile information about doctors. In other words, if your information is wrong in one place, this is yet another website to add to the list where your information will be incorrect. Depending on how the “Book Appointment” feature works, it may also create more appointments or additional burden (or both) for your appointment schedulers. Whether Amino.com takes off or not with users remains to be seen. The potential to have unbiased information to help patients choose the right doctor is an exciting one, but not until the audience is there. For now, it’s uncertain how the masses will respond to Amino.com because it focuses so heavily on sheer numbers with little interperation for what they mean. Should a user choose a doctor who has treated 9 people for a certain condition compared to one that has treated 3? What other factors go into the fact the provider saw a handful more patients with a particular condition? Does it mean they are any less capable or just that they didn’t have as many patients in need of that specific treatment? Are they treated other ways? Do they have a high success rate of treatment? What was their bedside manner? These questions remain unanswered on Amino.com.